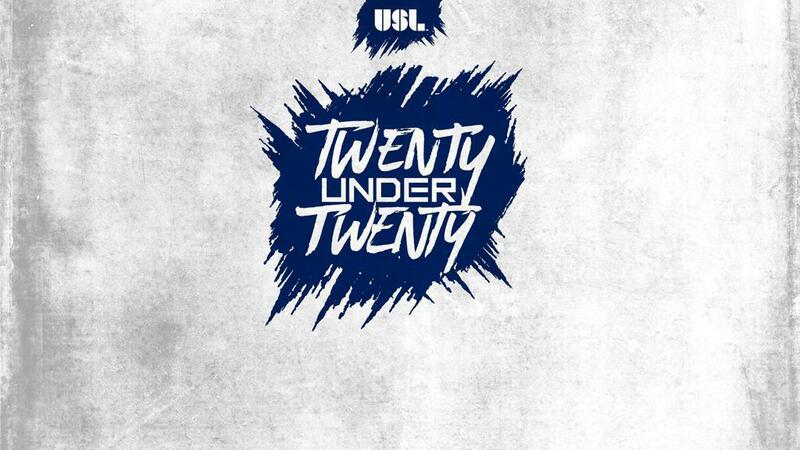 We enter this year’s Top 10 in the 2018 USL 20 Under 20 today with another quartet of standout performers, including a top young forward making his second consecutive appearance on the list and our first representative in the countdown’s history from Canada’s capital, who could be making waves soon in both the top flight and at international level. Joined by a current U.S. Youth International and a talented attacking player that scored earlier this year in his MLS debut, here are players No. 11 through No. 8. Lindsey first appeared for the Swope Park Rangers in the 2016 season as an Academy signing and became the first American player born in the year 2000 to compete in the USL as he followed in the footsteps of current Canadian international Alphonso Davies earlier in the year. A member of the United States U17 National Team that reached the quarterfinals of last year’s FIFA U17 World Cup, Lindsey has progressed strongly this year in splitting time between the Rangers and Sporting Kansas City, where he has made six starts this season. That action for SKC combined with regular call-ups to the U.S. U20 National Team this summer has meant a limited amount of action for Lindsey in the USL this season, but when he’s been on the field the quality he brings has been clear. The 18-year-old has a pass completion rate of 87 percent on 53.7 passes per 90 minutes as part of Swope Park’s possession-oriented lineup and has been active in getting forward down the right to record six chances created and nine open-field crosses. He has been solid defensively as well with 11 interceptions and a 58.1 percent duel success rate. Lindsey should be part of the United States U20 National Team squad that will be part of the 2018 Concacaf U20 Championship this November, and from there the stage for a return to a second World Cup could be set for next year. What makes Lindsey so talented? Jaylin has a great engine. He is a tireless worker playing at outside back. He is very good on the ball, as well. His qualities really fit the way that we play and the model of Sporting KC and Swope Park Rangers like his fellow young teammates. They have some specific qualities. For example, with Lindsey, he has a great engine, he’s good on the ball, and he’s a good 1v1 defender. Those qualities are really required to play in that position and are qualities that he does very well. 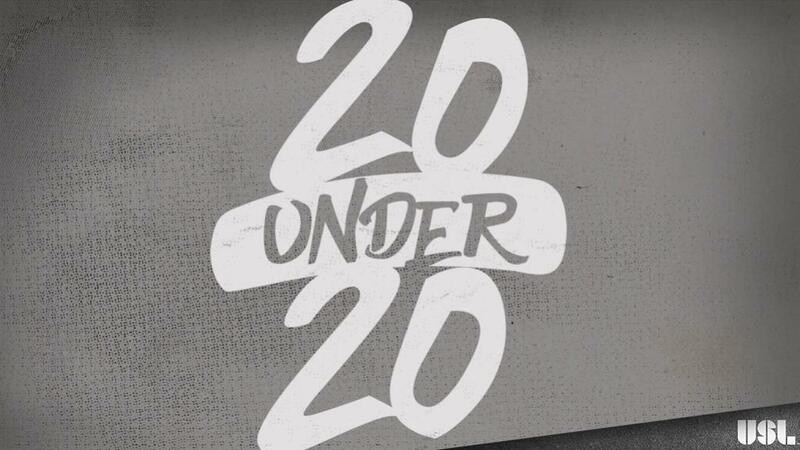 What’s going to take the player to the next level? Like we all saw, he’s very close to that level that we talk about. He’s already had a couple games with Sporting Kansas City, and now it’s just a matter of him being consistent and doing the good work that he did when he played with the first team. After making appearances over the past two seasons for the Red Bulls II, Mines has had a breakout year that saw the young midfielder’s vision and creativity come to the fore in one of the best attacks in the league. In addition to adding to his goal tally in the USL, Mines also made a splash in his debut for the Red Bulls in Major League Soccer, scoring on his debut in a 4-0 victory against the Portland Timbers. Mines’ ability to pick out a telling pass has been evident in most of his appearances this season, even if it hasn’t always been rewarded with a commensurate number of assists this year. Mines’ 22 chances created in 14 appearances have seen him created almost three chances per 90 minutes this season. He has also done stellar work to win possession back as part of New York’s pressing style, winning 11 of 14 tackles and the majority of duels this season even as he grows into his frame. The next step for Mines is going to be upping his overall accuracy with the ball at his feet, but the Red Bulls believe there’s a very bright future ahead of the Connecticut native. Ben [Mines] is a great example of what our USL team means to this club and how we get to use it with Ben being able to play in the USL Championship (2016) and then signing a professional contract. He’s a guy that fits our style. He’s able to run, has a lot of pace, really aggressive with his movements, and his against the ball play. He’s shown what he can do at the USL level and already shown that he can have an impact at the MLS level. What he needs to do is just clean up his game a little bit more in certain areas and continue to work hard. Selected for a second consecutive season, Dikwa has built on the promise he showed with Orlando City B a season ago while continuing his progression under Head Coach Anthony Pulis in Saint Louis, having already surpassed his totals for appearances and minutes played in his second full season in the United States. Dikwa’s speed is a clear asset, but what’s been more impressive this season is the vision he has displayed in linking up with teammates in the final third. The 20-year-old has notched three assists this season, but on top of that has regularly made smart passes in the final third both when he has had time to pick out a pass or when he’s been required to pull off something more instinctive. His 20 chances created put him fourth on STLFC this season while sitting tied for second in assists. In bringing him to Saint Louis having worked with him previously at OCB, Pulis banked on the potential Dikwa had to make an impact for his new side. It’s a move that has clearly paid off both for the club and the player this year. 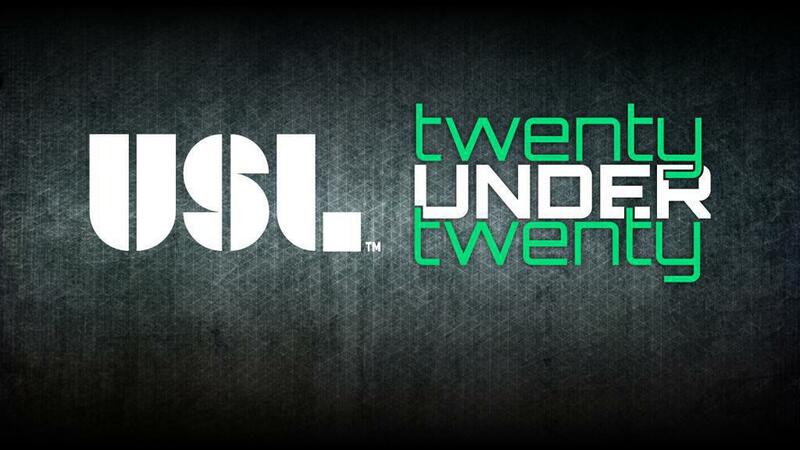 Really pleased for Dikwa that he’s been named in the USL 20 Under 20 for the second consecutive season. Personally, watching him mature as a player and a person over the last two years has been a very humbling experience. His game has come on leaps and bounds and he deserves great credit for taking ownership of his own development. He shows real desire and hunger to improve every day and is someone who typifies the character of our group. He still has a lot of room for growth and we look forward to seeing him take further strides with us. 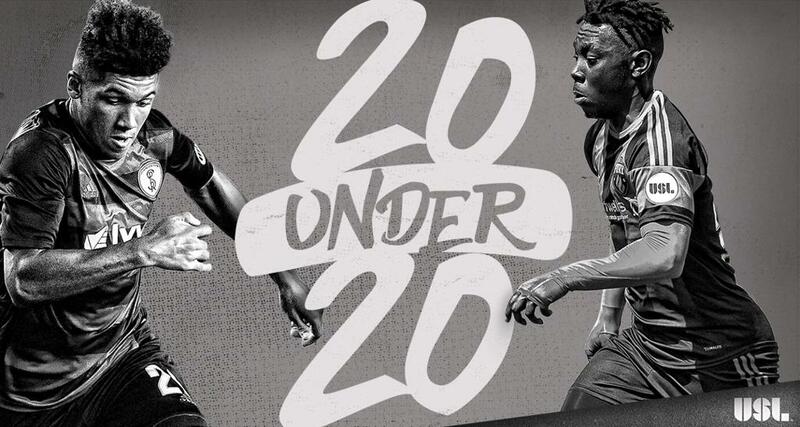 In his second season with Fury FC, Reid has more than trebled his minutes of action which has seen the Brampton, Ontario native reveal himself as one of the exciting attacking prospects in the USL this season. On loan from FC Dallas after being selected as a Generation adidas signing in the 2017 MLS SuperDraft, Reid’s progression has been a bright spot throughout this season in Canada’s capital. Reid’s elusiveness with the ball at his feet has made him a dangerous player throughout this season, and he’s shown a willingness to take opponents and create space that has resulted in regular chances both for himself and teammates. Reid’s 116 attempted dribbles and 51 completed dribbles lead Fury FC and rank in the top 20 in the league in both categories, while he showed off his finishing with the first hat trick in Fury FC’s professional era earlier this season in a big road win against the New York Red Bulls II. Having popped up on the Canada youth national team radar earlier this year in attending the U23 Identification Camp, it will be interesting to see how much longer it will be until the 19-year-old gets the call from FC Dallas to make the step to Major League Soccer. We are proud to see Adonijah make good progress as a young professional by achieving this recognition. He continues to add very good values to the club which allows him to grow in the right direction. More obstacles will come his way knowing he has qualities to make a jump to the bigger leagues and it’s up to him to improve on his weaknesses and perfect his strengths. [Fury FC Head Coach] Nikola [Popovic] has done a fantastic job allowing young pros like Adonijah to gain the experience he needs. If this is Fury’s first member to achieve this award, it won’t be the last since we are big believers of growing young talents.